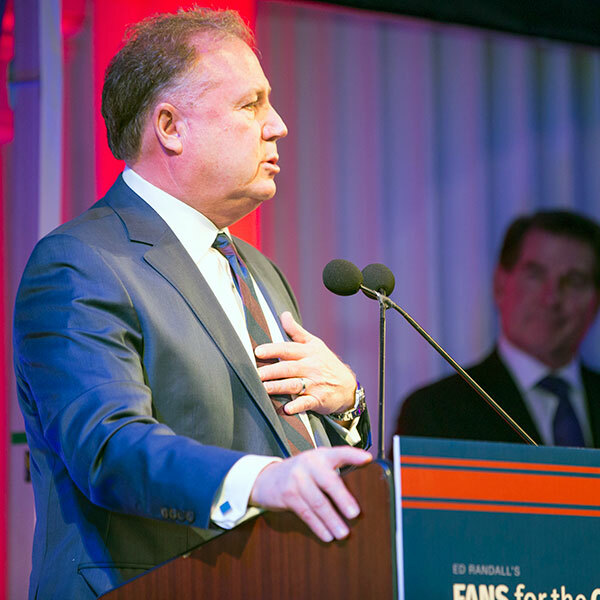 Fans for the Cure honored our 2017 Fans for Life at our annual All-Star Celebration Dinner on Thursday, February 23, in New York City. 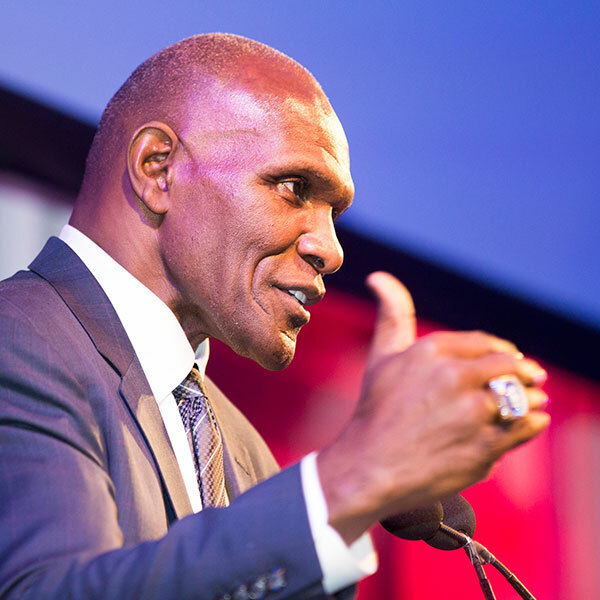 At a star-studded gala, more than 400 donors, supporters and friends of our charity came out to thank our Fans for Life Honorees: Mike Thompson, of Rawlings Sporting Goods, Dr. Charles Drake, of Columbia University Medical Center, and Harry Carson, NFL Hall of Famer with the NY Giants. 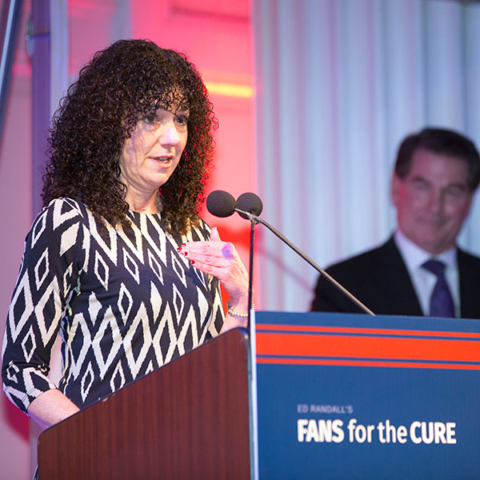 We were privileged to pay public thanks to our three Fans for Life honorees. All three men, in each in their own way, have contributed significantly to the cause of reducing prostate cancer deaths and spreading awareness about testing and treatment options. 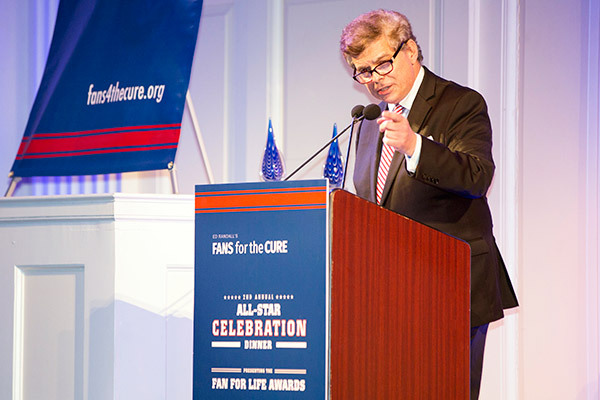 We are deeply grateful to Mike Thompson, Dr. Charles Drake and Harry Carson for their ongoing commitment and dedication to our cause. Our Board Chairman, baseball legend Steve Garvey, opened the evening by welcoming our guests. 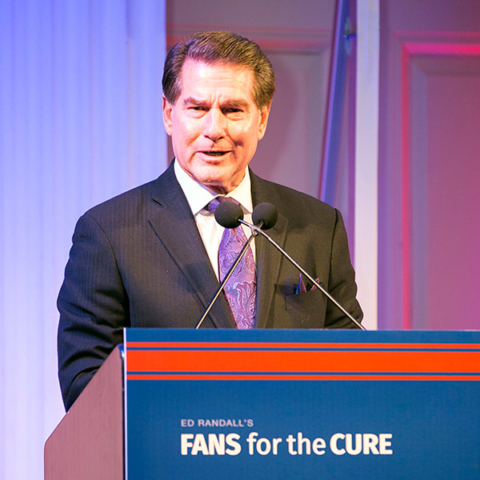 He spoke candidly of his own fight against prostate cancer and reminded the audience of the need for early testing and open conversations with our loved ones about our health. Karen Shaffer, in effect, a prostate cancer survivor in her own right, shared the story of how her husband, John, never went for prostate cancer testing until it was too late. 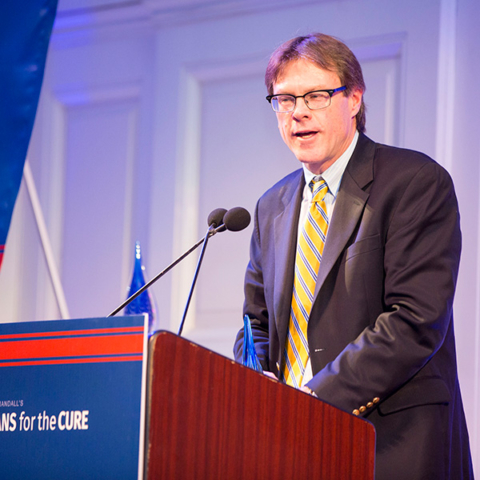 His prostate cancer had progressed too far for successful treatment, and sadly, he passed away from the disease at the young age of 54. 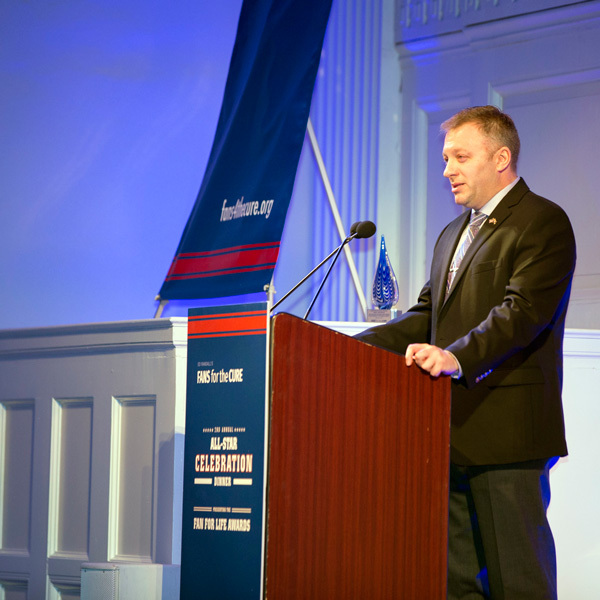 Lt. Col. Kevin Costello spoke movingly of his battle against the disease, which began when he was 42. The combination of these two powerful talks had a pronounced effect on the audience – their message on the value of early testing was clear. Our live auction was a fundraising success and a real hoot too. 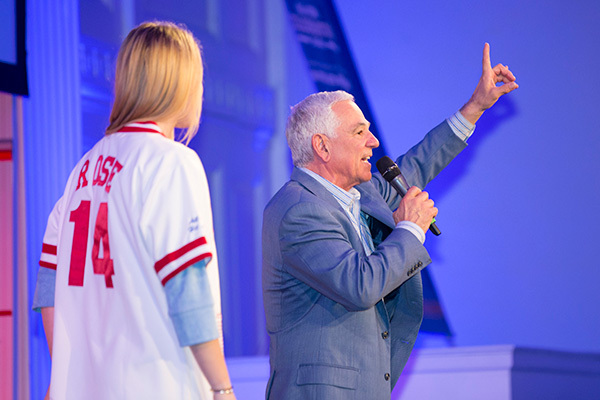 The one and only Bobby Valentine served as auctioneer for a host of wonderful trips, experiences and memorabilia items. There was something for everyone, baseball fans or not. 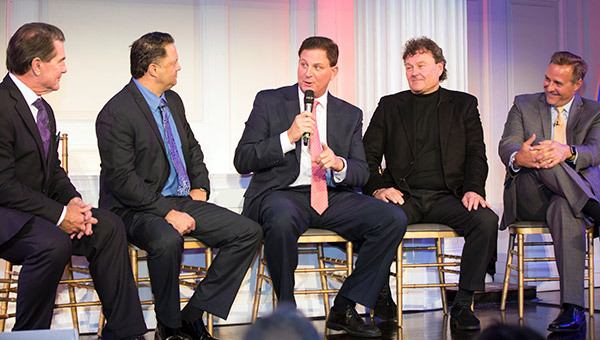 For the baseball fans in the crowd, a highlight of the night was “The Way We Were,” a lively baseball conversation moderated by Steve Garvey, and featuring John Valentin, Dan Plesac, Rick Peterson and Al Leiter. They chatted about the ins and out of the game, much to the delight of the crowd. The camaraderie and sense of brotherhood among the former players added to the joy in the room.